The Laurier Library’s 2017 holiday market takes place Dec. 4-8 from 10 a.m. to 5 p.m. in the Robert Langen Art Gallery. 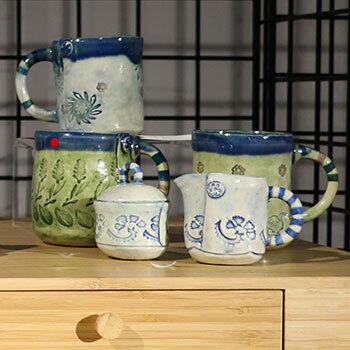 Showcasing the artistic talents of 12 Laurier community members, the market includes crafts, jewellery, paintings and much more. Prices range from a few dollars to a few hundred dollars for larger pieces. The work was selected by a distinguished panel of judges, including University Librarian Gohar Ashoughian, Deborah Dubenofsky, Richard Nemesvari, Sheldon Pereira and Brian Rosborough as well as Luke and Nick Dinka, director of cultural programming at the Library. Proceeds go to support further investment in the creative work of Laurier community members.